Low Land DX-pedition Team - Contains stories, pictures, audio files of all previous expeditions and current ones. 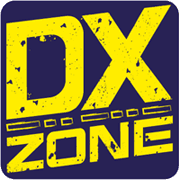 DXing.info - A comprehensive collection of DX information consisting of news, audio files, station profiles, equipment articles, discussion forum, DXpedition reports and logs for mediumwave, shortwave and FM DXers. DART - Clean up audio files and record high quality audio CD's! Spek - Spek helps to analyse your audio files by showing their spectrogram. Spek supports all popular lossy and lossless audio file formats. Spek is free software available for Unix, Windows and Mac OS X.
iSpectrum - iSpectrum is a free spectrum analyzer for MacOS that allows you to display live audio in a standard frequency plot, waterfall display or in a stereo oscilloscope view. Used by ham radio operators, audiofiles, musicians, and Sound Technicians. HxPI Morse Jabberwocky - A translation of Jabberwocky into Morse Code. The famous nonsense poem Jabberwocky by Lewis Carroll, from Alice Through the Looking Glass, has been translated into many languages. Here it is in Morse Code, as MP3 audio files that can be downloaded. The files are at different speeds (words per minute, wpm) to suit those at different stages of learning morse code.